The town of Jackson is just 5 miles south of Grand Teton National Park and just over an hour’s drive from the north entrance to Yellowstone National Park. Set around the tree-shaded Jackson Town Square, marked by an arch of elk antlers at each corner, the Old West-style boardwalks of the downtown front designer clothes shops, and western craft shops. Musicians from symphonies and orchestras across America come to play in the Grand Teton Music Festival from June through August, the Jackson Hole Fall Arts Festival has become an outstanding cultural event in mid-September. This is Wyoming’s liveliest night-time community, full of fun bars (check out the Million Dollar Cowboy Bar) and busy restaurants (check out the Cadillac Grill). Bon Voyage can offer you a wide range of accommodation, call us to discuss your stay in the Yellowstone National Park and Jackson area, there’s so much to do here we don’t want you to miss out! 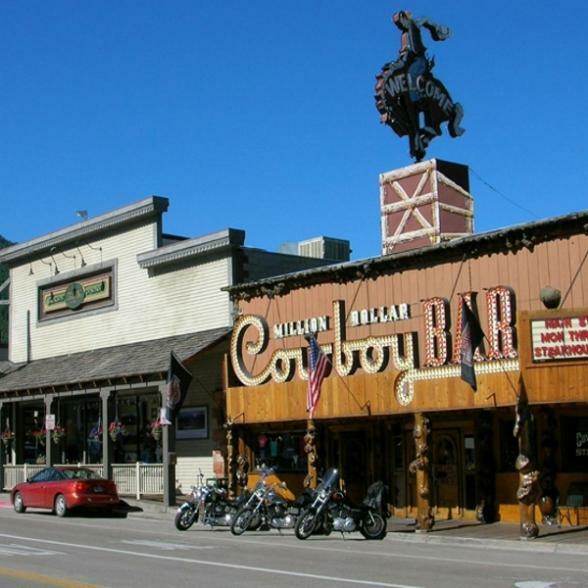 Old Trail Town represents an old Wyoming town created with 26 frontier buildings dating from 1879 to 1900, that have been collected from all over the state. 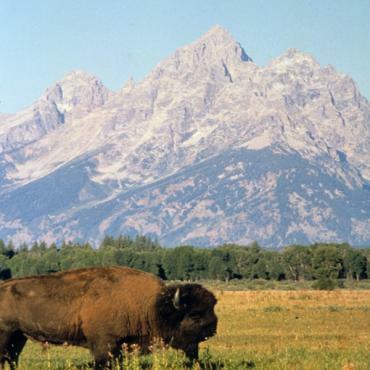 Just south of Yellowstone is Grand Teton National Park, where the spectacular Teton Mountains jut abruptly from the valley floor with no gentle foothills.